Halloween is a fun holiday for many. It’s a holiday filled with costumes, candy and pumpkins. 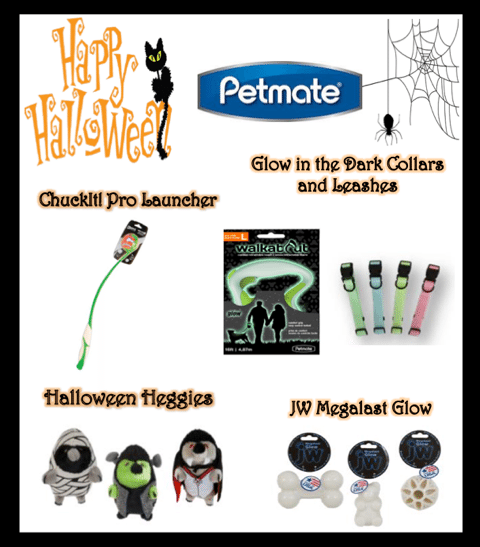 While we often think of safety tips for kids on Halloween, have you considered these for your pet? Halloween can be a frightful holiday for pets, not just black cats. We are sharing five Halloween Safety Tips for your pets to ensure 2- and 4-legged friends have a good time. No tricks, no treats: That bowl of candy is for trick-or-treaters, not for your curious dog or cat. Chocolate in all forms—especially dark or baking chocolate—can be very dangerous for dogs and cats. Candies containing the artificial sweetener ,xylitol, can also cause problems. Make sure you properly dispose of any wrappers; just the scent of the candy might have your pet interested in them. Don’t leave your pet outside. Have them securely in the house, especially if you plan on leaving with your kids to trick or treat. Additional activity outside can make pets nervous and you don’t want your pet taken from your property. Pumpkin Safety. While cooked pumpkin is sometimes recommended for your dog when they have a belly ache, uncooked pumpkin and decorative corn could cause gastrointestinal upset. Additionally, consider using a battery operated light in your carved pumpkin. Pets, especially curious puppies and kittens, can easily get burned or start a fire if they bump into a candle lit pumpkin. Trick-or-Treater Time: Even if you pet is on the social side, all those door bells and kids can be stressful for your pet. It is best to keep your pet in a quiet room or on leash when visitors come to the door. 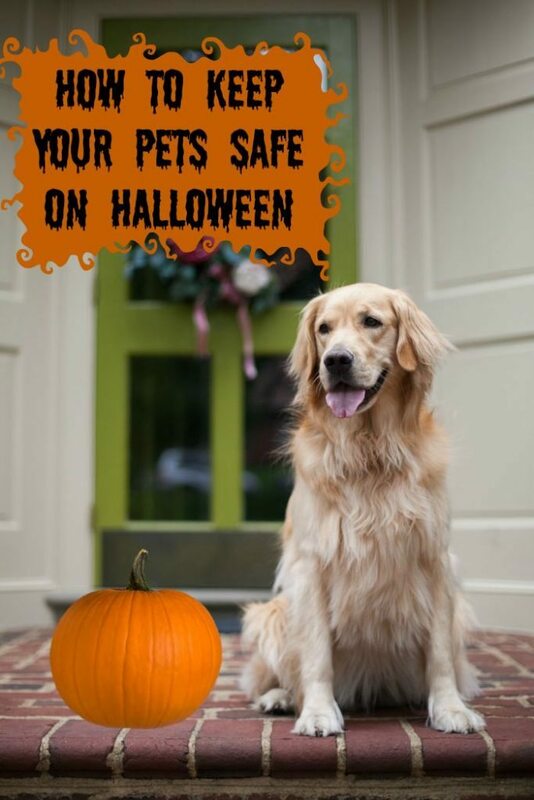 Keeping your pet secured will prevent your pets from getting loose when you greet the trick or treaters. Thinking about giving out dog and cat treats? You might want to reconsider. Giving a pet food they aren’t used to could cause GI upset. I would consider a ball or a safe cat or dog toy as a treat instead. You can probably find them in bulk at your pet store. 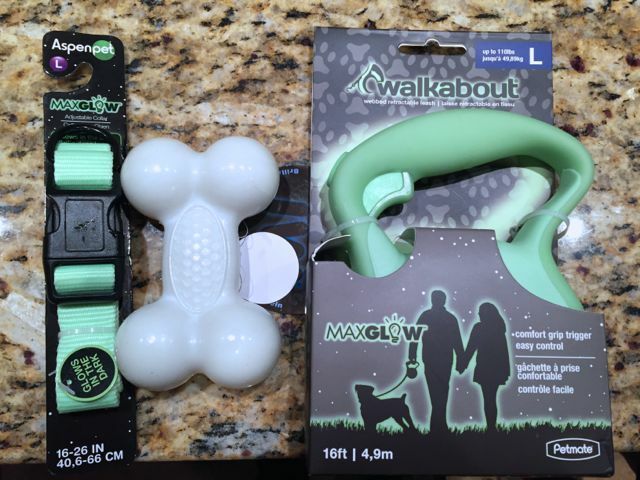 Glow in the Dark Toys like JW® Megalast ® Glow Toys would be perfect for your dog buddies. What other Halloween Safety tips would you add for your pets? so glad you too the right steps to take care of your black cat! i didn’t know pumpkin not cooked could upset the dogs. That’s def. good to know. When we were kids we always kept our black cat in the house the week following Halloween because people can be stupid with their superstitions. He spent the night locked in the basement too so people wouldn’t hurt him. Great tips! These are great tips! We’re always sure to keep our pups away from pumpkins & candy! They are super friendly though and love trick or treaters…they don’t even bark when kids come to the door! Definitely keeping our pups in this year with all the comforts of home minus treats. Excellent safety tips. Not enough people are aware of the dangers of xylitol and its in a lot of sugar free candies, gum being the most common. Thanks for spreading awareness! What great tips! We love our pup and would hate for her to get hurt! This is a really good reminder. We’ll be handing out treats at the door and our cat has a tendency to slip through the door when we’re not looking. Great tips to keep pets safe. Halloween can be a scary time. We do not have any pets but these tips definitely make complete sense. 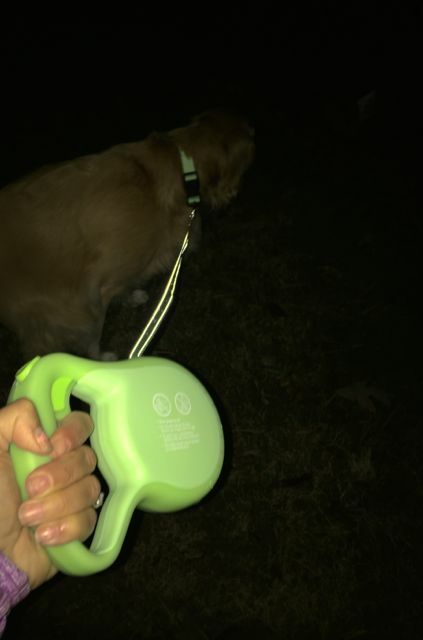 Dogs could easily get lost or scared. Safety for out pets on Halloween is so important! Thanks for putting this together! Great job! We have cats and they are typically bored with all humans. As we are not home on Halloween night they do okay. Aw, yeah! It’s easy to forget. My dog likes canned pumpkin when she’s sick, but like you said – raw and decorative is not good. Candy is NOT good. Running away and being scared = not good! I’ll keep these all in mind. My dog is UBER friendly and thinks that everyone that comes to the door is there to see him. lol I don’t know how much he’d like some of the scarier costumes, though, so we keep him occupied in another part of the house during peak trick-or-treat hours! Great tips! Also watch out for treats made Xylitol. A friend of mine sadly lost her dog because he got into the zucchini bread she made with Xylitol(for a blog post!) and sadly it’s toxic. Thank you for these great tips! Our dog is deaf so he just sleeps while everyone trick-or-treats but I had no idea to keep him away from the pumpkin! I’ll remember that this year! My cat hide inside on Halloween! It’s probably the safest place for them to be. Our dog goes into his kennel on Halloween. He would give himself a heart attack with all those people coming to the door.